Use this inspiring 7-minute PLC video to motivate your school or district to create their own professional learning community (PLC) and collaborative environment. 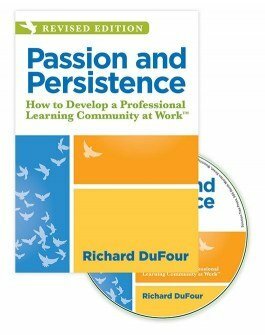 In the latest version of the best-selling Passion and Persistence DVD, Richard DuFour provides a short, impactful overview of essential PLC components. The revised team collaboration video contains the memorable quotes and lighthearted humor that made the first edition so special, along with new interviews with acclaimed PLC at Work™ experts Rebecca DuFour and Robert Eaker.